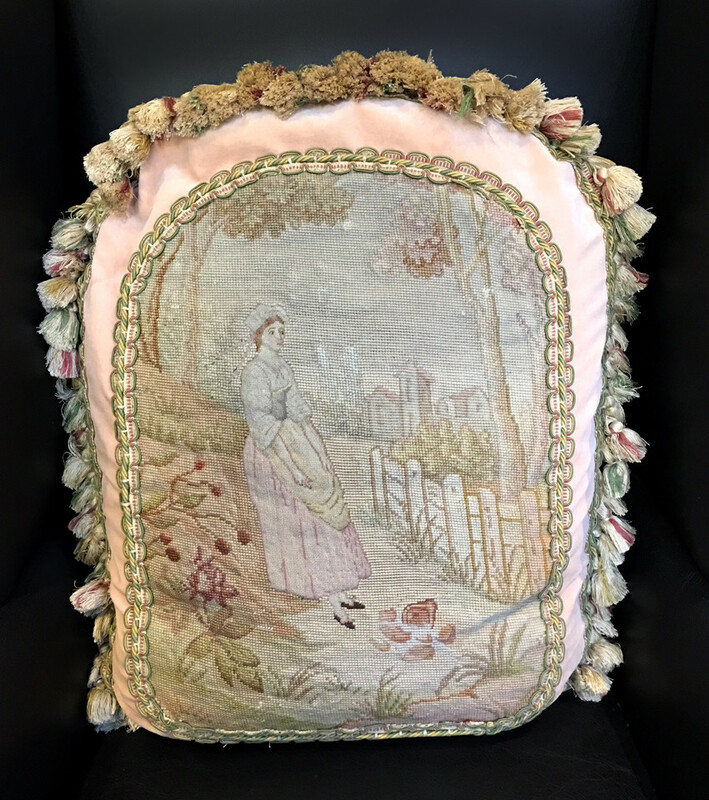 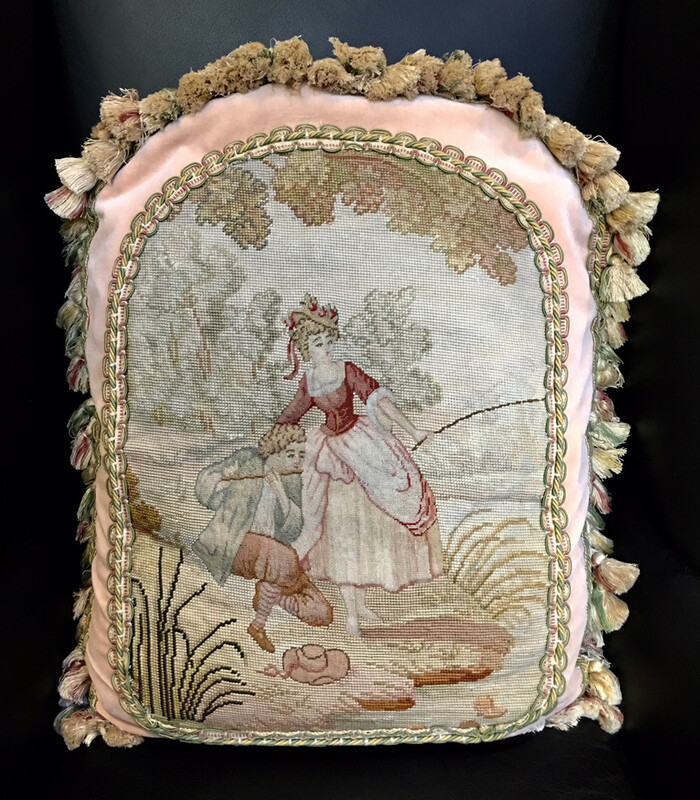 Pair of 19th Century French Silk and Wool Needlepoint Pillows. 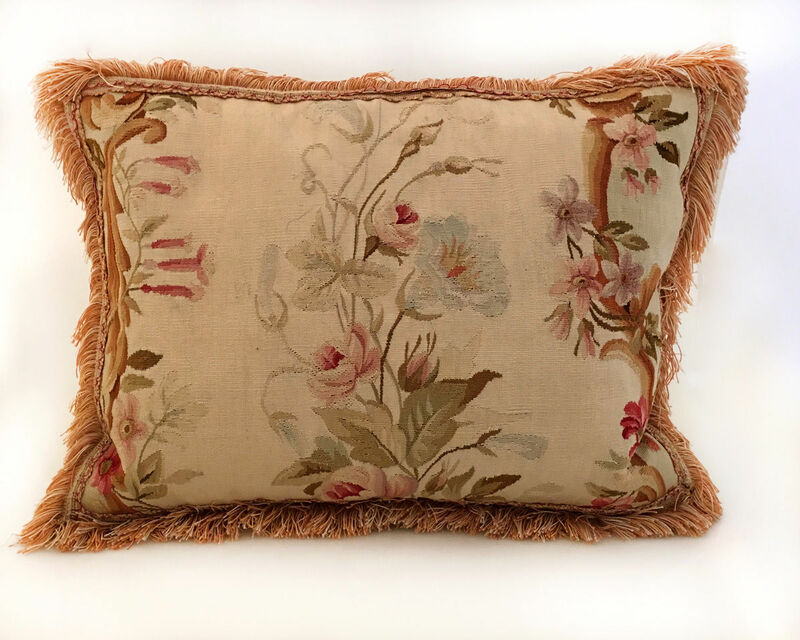 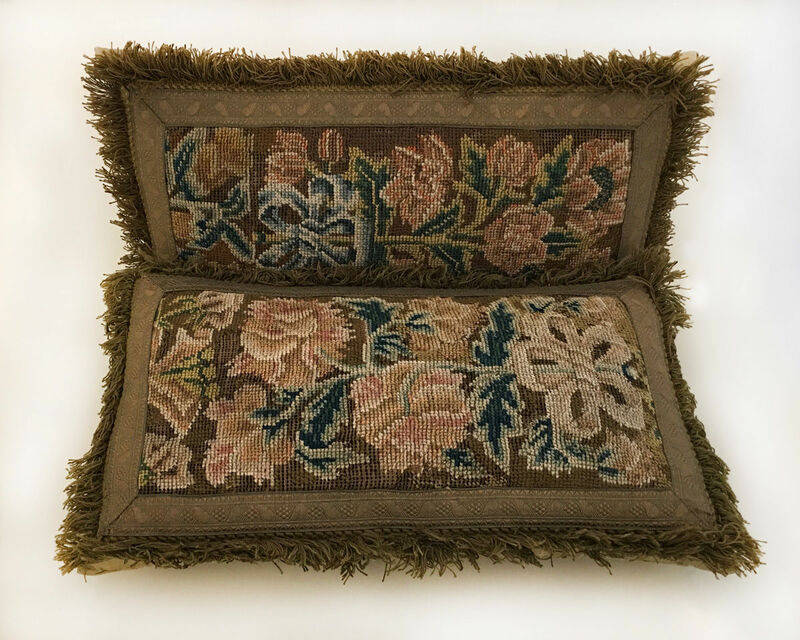 18th Century French Aubusson Cushion made of silk and wool. 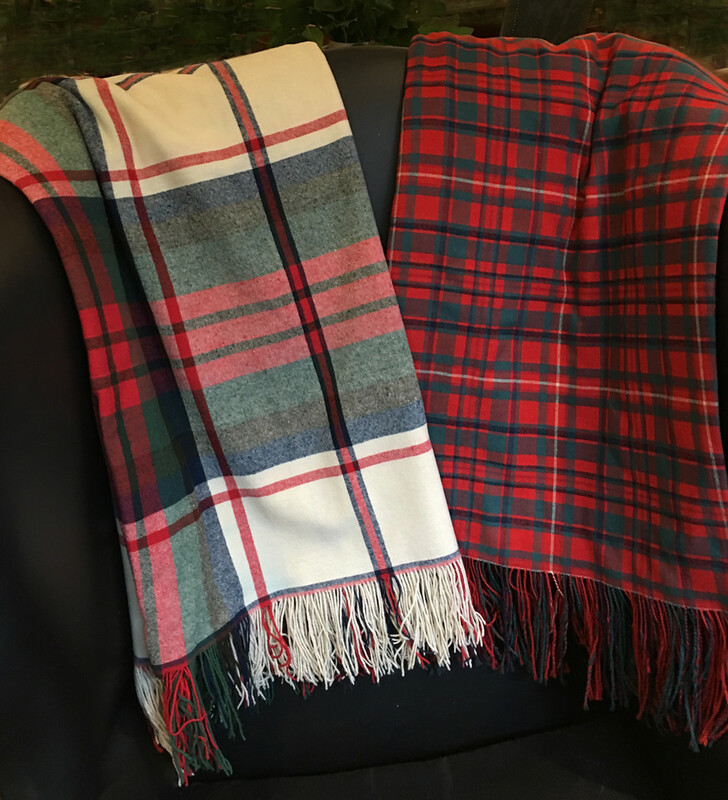 19th Century Wool Tartan Shawl from Scotland. 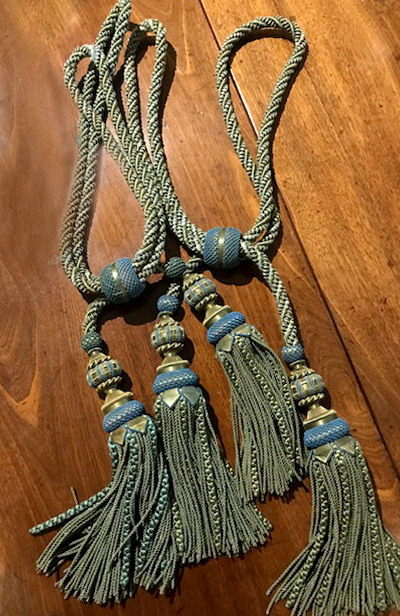 Rare pair of English 18th Century silk tassels. 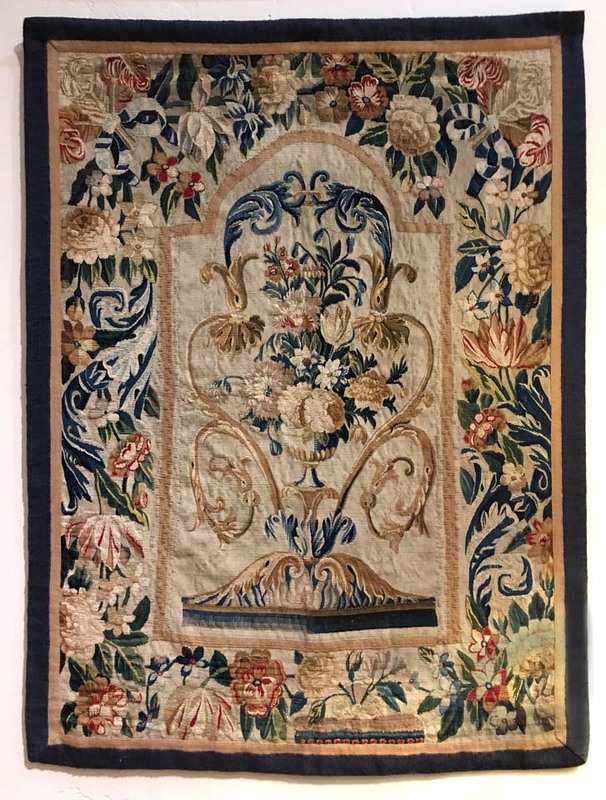 A Rare 18th Century French Beauvais Tapestry. 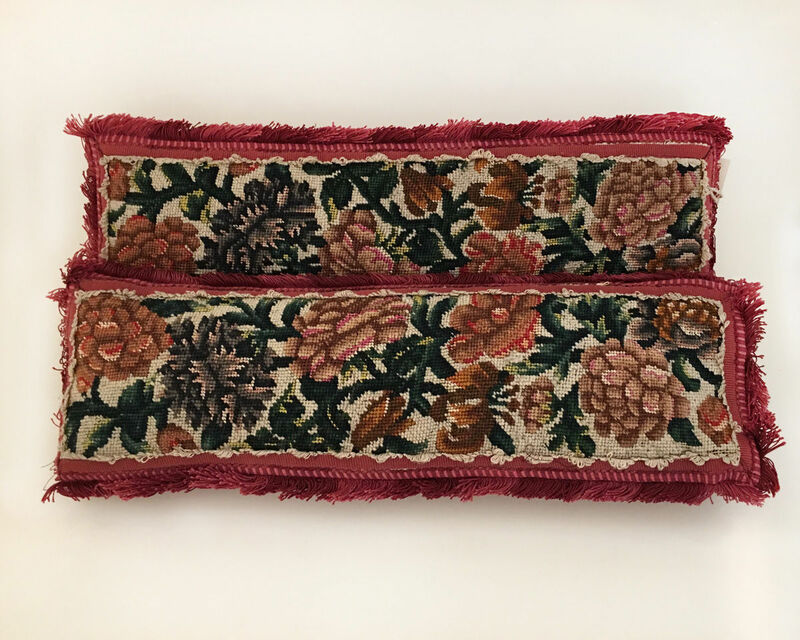 A wedding tapestry for an aristocratic bride. 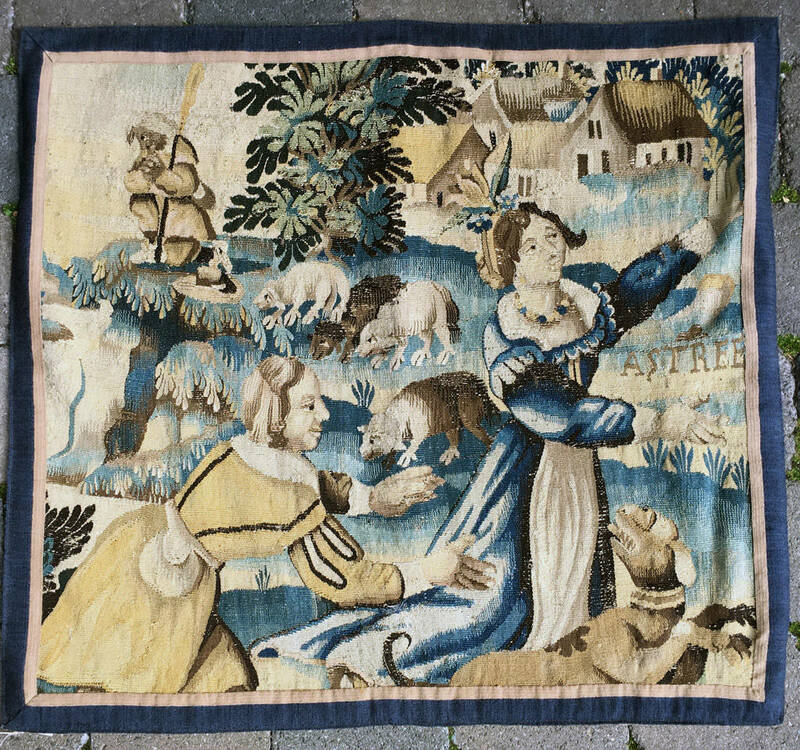 Late 17th Century Brussels Tapestry Fragment. 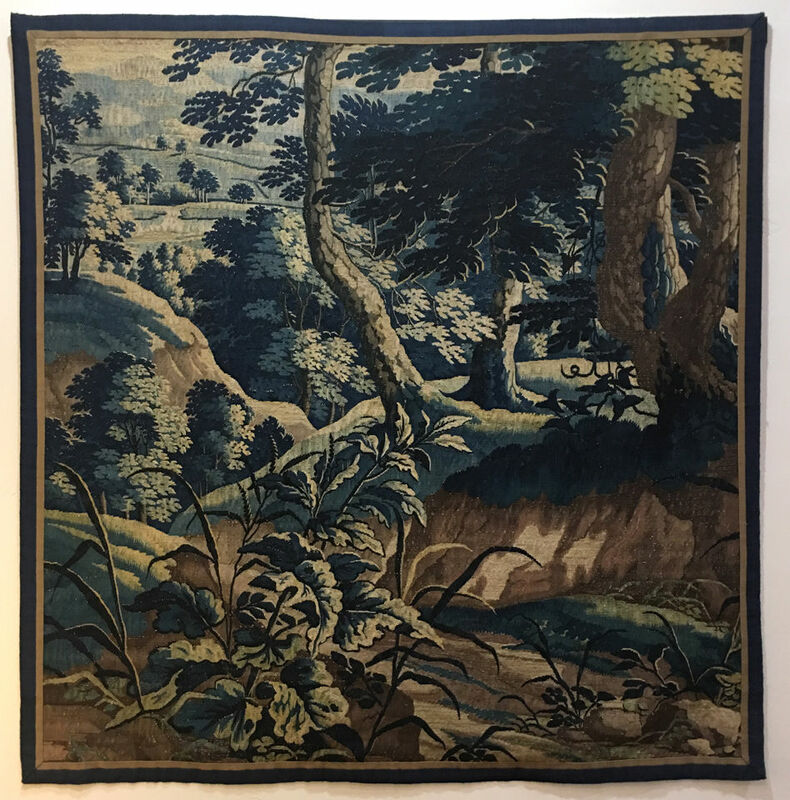 Rare Late 17th Century - Early 19th Century Flemish Verdure Tapestry. 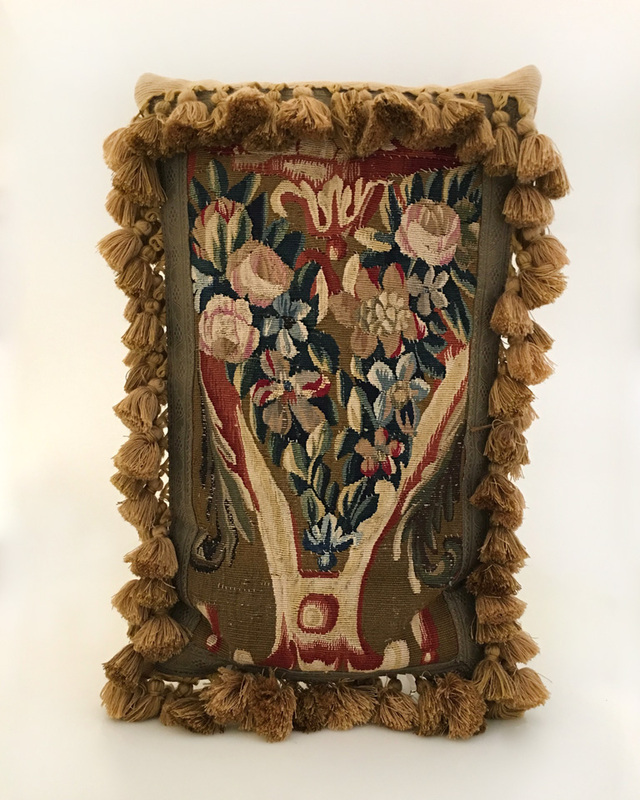 A type of tapestry decorated with designs based on plant life. 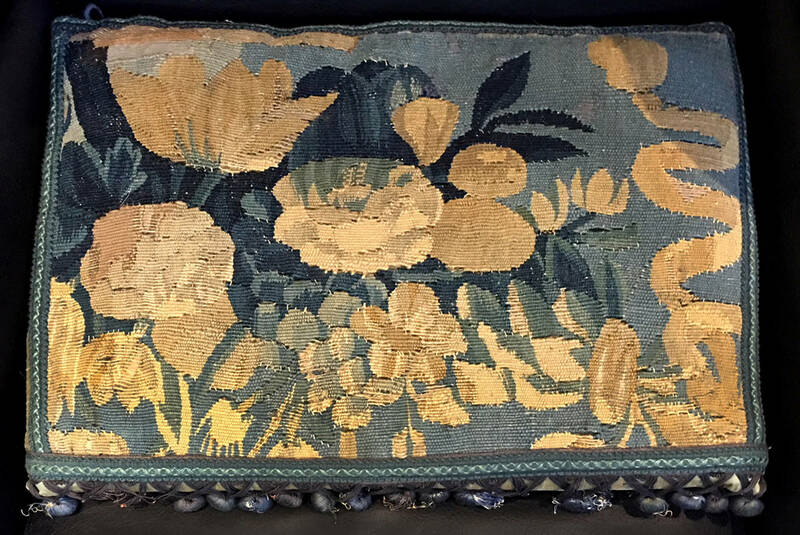 In last half of the 17th Century landscapes were incorporated into the design.